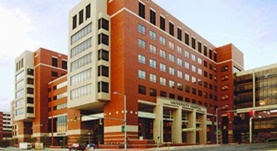 Heidi Umphrey, M.D., M.S., F.C.A.P. Dr. Heidi Umphrey completed her medical schooling at University of Alabama and did her internship, residency, and fellowship as well at the same institution. Currently, Dr. Heidi Umphrey practices as a radiologist at the University of Alabama Hospital. Dr. Umphrey has also contributed to three research publications and gathered over the years a lot of experience. Dr. Heidi Umphrey has contributed to 3 publications. Preoperative Arterial Microcalcification and Clinical Outcomes of Arteriovenous Fistulas for Hemodialysis. Allon, M.,Robbin, M. L.,Umphrey, H. R.,Young, C. J.,Deierhoi, M. H.,Goodman, J.,Hanaway, M.,Lockhart, M. E.,Barker-Finkel, J.,Litovsky, S.; Am. J. Kidney Dis.. 2015 Feb 24. Ultrasound-stimulated drug delivery for treatment of residual disease after incomplete resection of head and neck cancer. Sorace, A. G.,Korb, M.,Warram, J. M.,Umphrey, H.,Zinn, K. R.,Rosenthal, E.,Hoyt, K.; Ultrasound Med Biol. 2014 Jan 15. Zhai, G.,Kim, H.,Sarver, D.,Samuel, S.,Whitworth, L.,Umphrey, H.,Oelschlager, D. K.,Beasley, T. M.,Zinn, K. R.; J Magn Reson Imaging. 2013 Oct 24.